Counselors must be at least 18 and have completed a year of college or other post-high school experience. 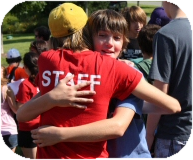 There is nothing as fun or rewarding as working at summer camp. Campus Kids staff members are terrific people who love kids, work hard, have lots of fun and make a difference in the lives of the campers every day! All Staff Have Weekends Off!